Club Penguin Cheats by Mimo777 Club Penguin Cheats by Mimo777: Club Penguin's New Bloggers! Happy77 has interviewed several new Club Penguin penguins that have joined to write blogs on in other languages. 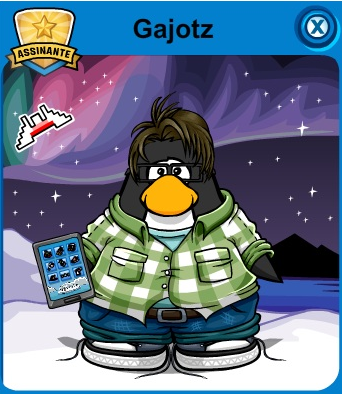 Happy77: Hi, Gajotz! Tell us a little about yourself to us. Gajotz: Hi, Happy77! 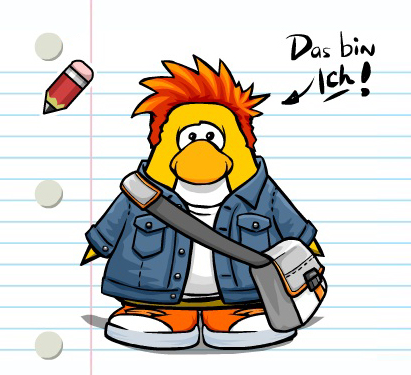 Hi, penguins online! How are pinguinando? I'm really into technology and love to learn and get news. I'm excited to start helping and I was very happy when you invited me to participate, Happy77! Happy77: What do you like Club Penguin? Gajotz: Tough question ... I love pinguinar the island with my puffle, the floppy disk. Oh, and I also like to meet new penguins while I choose which to play Arcade. Happy77: What is your favorite candy? Happy77: Holitas, Tato Maxx! Can you tell us a little about yourself? 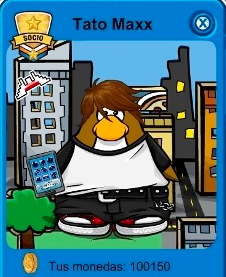 Tato Maxx: I was born in the South Pole, but I was able to travel throughout the Spanish-speaking countries. So I have lots of friends! I practice extreme sports and I'm pretty bad at soccer, but I still like it. Happy77: What do you like most do in Club Penguin? Tato Maxx: I love playing with wavelength waves . It is supercool! I love being outdoors, and I can find in the Bay or the stadium. Tato Maxx: Anything with mango! Yum! Happy77: Federflink1 Hello! Can you tell us a little about yourself? Federflink1: Happy77 Hi, Hello Penguins! So, I'm a blogger and it gives me immense pleasure to inform all the penguins of Club Penguin news, because I like so much this crazy island. My Puffle flip is always there when I go to Club Penguin am traveling and my goldfish Flipper renders me writing in my igloo society. Happy77: What are you on Club Penguin prefer? Happy77: Which candy do you eat most? These new bloggers will post exclusive news, igloos of the week, featured fashions, and "Your Opinion" in their own languages. That's pretty neat! So cool to learn about other languages, isn't it? what are they holding-- i want wont or else! Where do you get the ipad things? hi Mimo I was just wondering where you get all of your information, because none of this is on the Club Penguin blog.I only ask this because i know the rules you have a would never steal your information and I want to make my blog unique.I have just started my own wordpress blog and was wondering if you could give me some tips on how to make such a great blog, like yours.